Working in sales can be complicated, but experts Dave Stein and Steve Anderson have some advice. Here are four strategies to master the art of getting and keeping customers. Business-to-consumer and business-to-business sales jobs account for a huge share of the workforce. With competition in sales being fierce, you might think there would be plenty of analysis guiding companies and workers on how to do their very best to win and keep customers. Not so, say sales experts Dave Stein and Steve Andersen. Most commentary on the topic focuses on one narrow aspect of the job – closing the deal. “Point-of-sale strategies make sense for retail, although I think most customers and consumers want more from a salesperson than thinly veiled interest just to get a signed contract,” says Stein. As co-authors of “Beyond the Sales Process: 12 Proven Strategies for a Customer-Driven World,” Stein and Andersen offer tips to salespeople for a long-term strategy in getting and keeping customers. • Do your homework. If you’re going to connect your services to a customer’s needs, know what those needs are ahead of time, before a potential sale has even started to take shape. Don’t assume that the goals of the next CEO you speak with are the same as the last one. Do research specific to each prospect. • Give them a reason to love you. Get to know them on a personal level. Learn about their passions and what makes them tick. Relationships matter – a lost concept among many in sales today. • Stay engaged with your customer after your last sale and before your next. 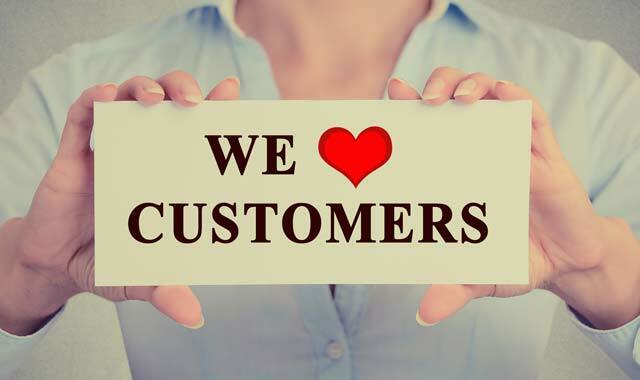 As with any relationship, customers want to know they’re appreciated and respected on a human level, not just financially. Stay in touch and try to engage with them regularly to discuss the things that matter most to them. Follow their business on social media and react to their successes. • Leverage past successes to earn their commitment for the future. Validate the impact of what your solutions, products and services are doing for their business. As progress continues, explain to them how you will continue to create value with them in the long-term. “As ink dries on the contract, stress levels drop for the salesperson, but rise for the customer,” Stein says. Dave Stein is a widely respected sales consultant and strategist. Steve Andersen is president and founder of Performance Methods Inc., a sales and account management performance consulting firm whose clients include many of the world’s top companies. Stein and Andersen are co-authors of the evidence-based Beyond the Sales Process: 12 Proven Strategies for a Customer-Driven World. This entry was posted on Monday, December 4th, 2017 at 12:00 pm	and is filed under Personal & Financial Strategies, Top Posts. You can follow any responses to this entry through the RSS 2.0 feed. Both comments and pings are currently closed.